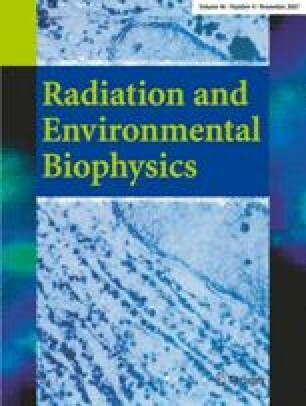 A number of approaches have been proposed to estimate the exposure of non-human biota to ionizing radiation. This paper reports an inter-comparison of the unweighted absorbed dose rates for the whole organism (compared as dose conversion coefficients, or DCCs) for both internal and external exposure, estimated by 11 of these approaches for selected organisms from the Reference Animals and Plants geometries as proposed by the International Commission on Radiological Protection. Inter-comparison results indicate that DCCs for internal exposure compare well between the different approaches, whereas variation is greater for external exposure DCCs. Where variation among internal DCCs is greatest, it is generally due to different daughter products being included in the DCC of the parent. In the case of external exposures, particularly to low-energy β-emitters, variations are most likely to be due to different media densities being assumed. On a radionuclide-by-radionuclide basis, the different approaches tend to compare least favourably for 3H, 14C and the α-emitters. This is consistent with models with different source/target geometry assumptions showing maximum variability in output for the types of radiation having the lowest range across matter. The intercomparison demonstrated that all participating approaches to biota dose calculation are reasonably comparable, despite a range of different assumptions being made. Dedication: This paper is dedicated to the memory of our co-author Dr. Masahiro Doi, who sadly passed away in July 2006. We will miss his friendship and input into the group. The authors would like to thank all other participants of the Biota Working Group who have commented on this work. The authors would also like to thank Professor J. Pentreath, the Chairperson of ICRP Committee 5, for permission to use the proposed RAP geometries.